"Craig Allen, a research ecologist with the United States Geological Survey (@usgs), looked over an area scarred by #wildfires in the Santa Fe National Forest in #NewMexico. Parts of the forest suffered from major fires in 1996 and 2011. But what happened afterward was a departure from the normal the cycle of regrowth. A series of unusually intense, unusually large fires have disrupted nature's script — a product of factors including government firefighting policies, climate change and bad luck. The fire season of 2015 in the American West is shaping up as one of the worst in the nation's history, with more than eight million acres burned nationwide. 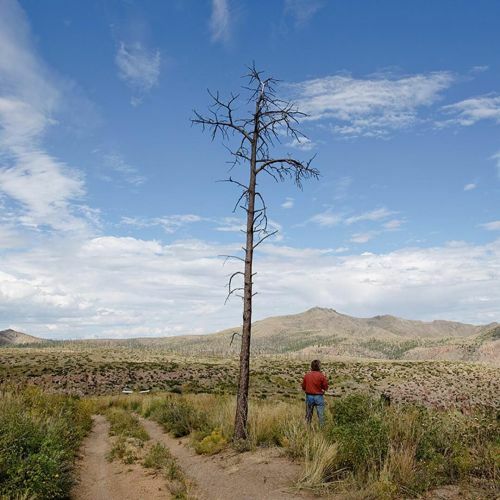 @nickcotephoto photographed Santa Fe National Forest on #nytassignment." By nytimes on Instagram.